Arison joined the Sonke finance team in July 2009 and rose through the ranks to his current position as the Sub-Awards Manager. 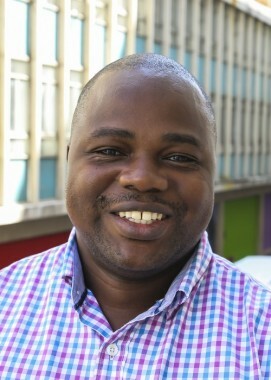 His work involves relationship management with Sonke/MenEngage’s local, regional and international partners which he provides technical assistance in operations and financial management ensuring compliance with our donor requirements. He has extensive banking and accounting experience in both the private and NGO sectors. Arison’s work experience has exposed him to retail banking operations, foreign exchange and financial management. Prior to joining Sonke, Arison worked for the Treatment Action Campaign as a Finance Officer, Moyo restaurant, at the Spier Estate in Stellenbosch and banking institutions. A member of the Institute of Bankers of South Africa, he holds an accounting and banking qualifications. He is currently reading for a qualification in Financial and investment management through UNISA.